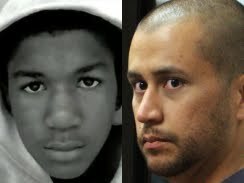 After a hearing held before a Sanford, Florida judge, George Zimmerman’s bond has been revoked. He is ordered to turn himself in within 48 hours. Angela Corey requested that the bond be revoked after realizing that his wife lied and Zimmerman sat back and allowed his attorney to make certain representation on his behalf that he knew was untrue. Zimmerman had a 2nd passport in his possession and intercepted phone calls revealed that he and his wife spoke in code and discussed ways to intentionally mislead the judge and prosecution. He and his wife discussed monies that they raised but had no intention to make the courts aware of their true financial status. George Zimmerman’s My Space account was made avaialable and it contains remarks that could be considered racist as well as comments that include him bragging about felony charges being dropped to misdeamnors. He made emarks in regard to Mexicans etc.